YouTube has rolled out an update to its Android and iOS apps that sees the homepage get a redesign and introduces a new recommendation system based on deep neural network technology. In addition to the redesign, YouTube has promised that its new recommendation system will show items that are more relevant to users. It uses machine learning and algorithms to figure out your viewing patterns and improve the accuracy of recommendations the more videos you watch. It’s able to take into account videos that were uploaded within the last hour, as well as items from your YouTube subscriptions. 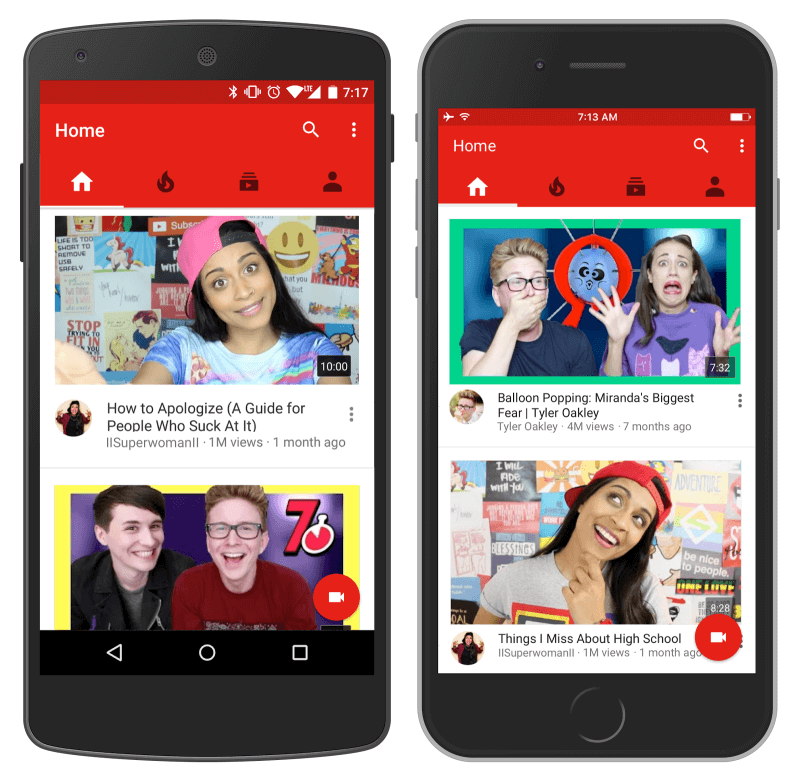 YouTube tested the new system on a small group of users in the weeks preceding the launch. The company found that they watched a larger number of videos and spent more time with them. While the visual updates are limited to the mobile incarnations of YouTube, the new recommendation technology will also be coming to the desktop version. It was reported yesterday that YouTube will be rolling out six-second, unskippable ‘Bumper ads’ for mobile devices next month.